IP network technician with ten years of experience combining network management and customer service expertise in tele-commnications operations. 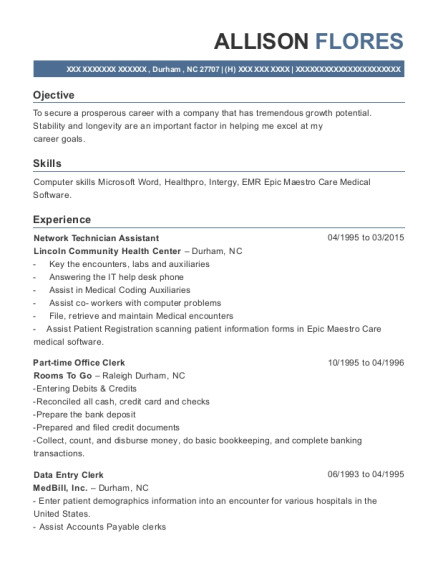 Looking for a position in a fast growth company. Troubleshoot local area network (LAN), wide area network (WAN), hubs, routers, switches, controllers, multiplexers, or related networking equipment. Consulted with users, administrators, and engineers to identify business and technical requirements for a tele-communications facilities provisioning and inventory system. 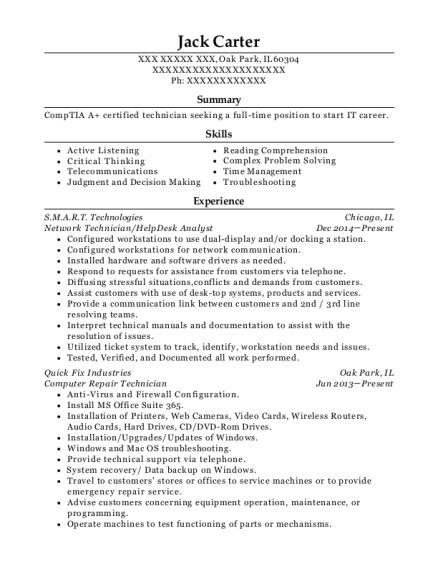 This is a resume for a Network Technician in Superior, Colorado with experience working for such companies as Level 3 Communications and US West AT. 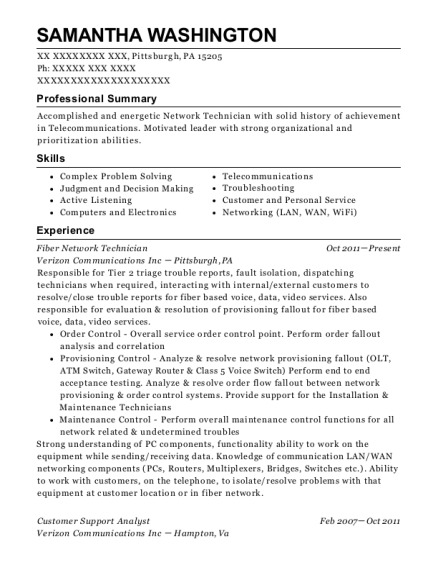 The grade for this resume is 0 and is one of hundreds of Network Technician resumes available on our site for free. 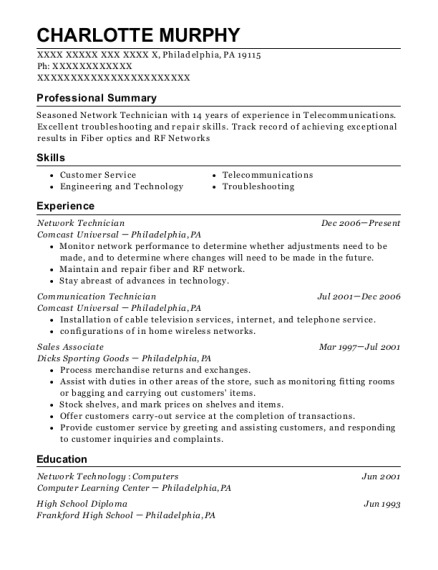 Use these resumes as templates to get help creating the best Network Technician resume.